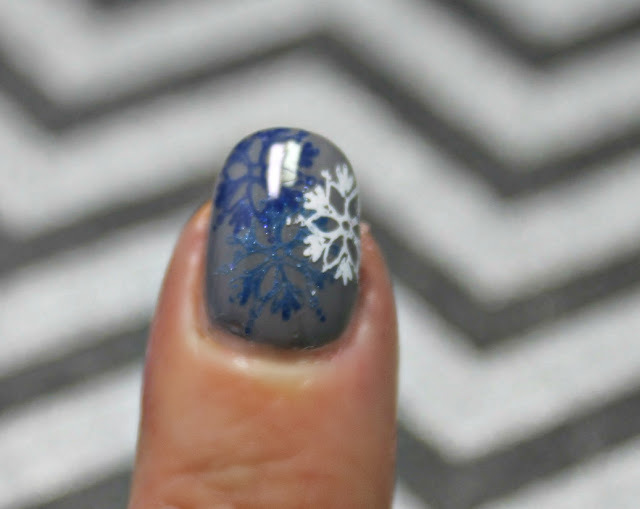 This is my second and final design for the Nail Challenge Collaborative Holiday Season nails. 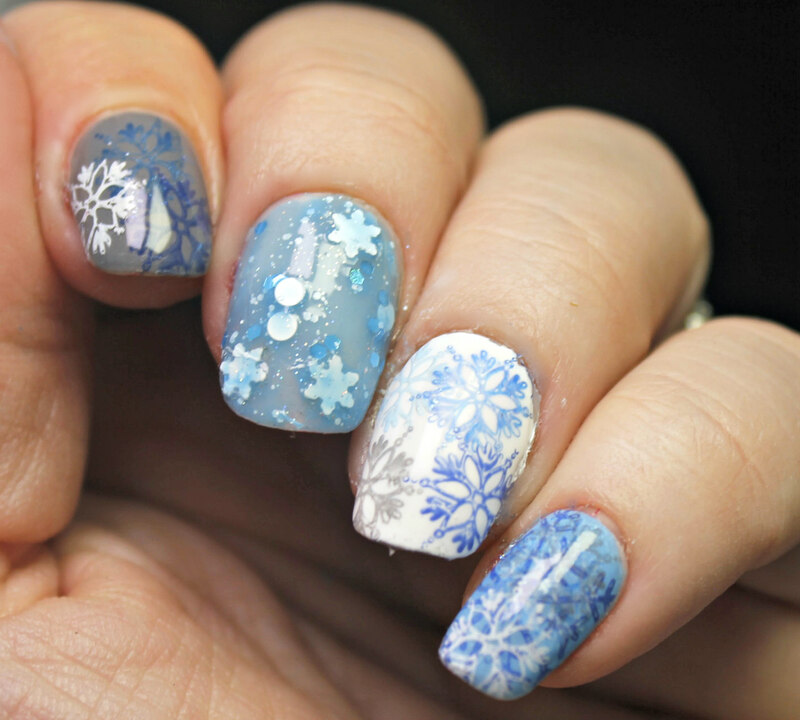 These are my little prayer to the snow God to get a little bit of snow on Christmas. We haven't had a white Christmas in so long, so I am hoping we will get a little bit of it this year. 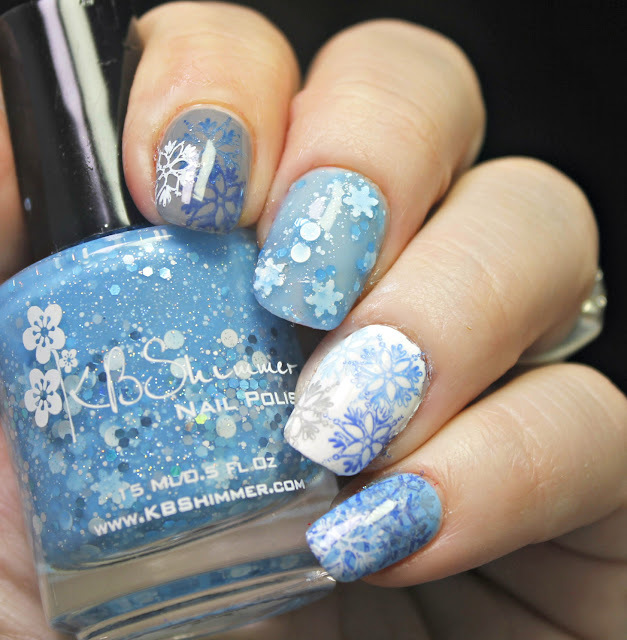 For this look, I stamped snowflakes in different sizes and colors. Of course, I have been doing different designs for the last couple weeks so I hope you have been tuning in on Snapchat to check them out. You will be able to see my latest @colormesocrazy! !